Drug, alcohol and marijuana addiction stories don't often have a happy ending but what ever the ending sharing them is helpful. A former teacher of mine is a psychotherapist, who always talked to us about getting to the "essence of self" when helping people tell those all important drug, alcohol and marijuana addiction stories. It is the essence of self that drives the person's perceptions and creates meaning in life. Your drug, alcohol and marijuana addiction stories are important. You are not alone and maybe there is someone who will benefit from you sharing your experience. We encourage you to gather your thoughts and share them with us. 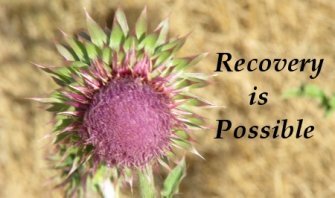 Here are a couple of drug, alcohol and marijuana addiction stories that describe the process of recovery. We’re hoping that you will share your stories with us as well so that others can learn from your experiences. Many people tell us that it helps them to read others drug, alcohol and marijuana addition stories because they understand what they've gone through a little better. Many times therapy sessions are simply a place where people come and share their drug, alcohol and marijuana addiction stories. You may find that sharing your drug, alcohol and marijuana addiction story anonymously is the first step toward dealing with addiction. It's only pot, what's the big deal? I NEED HELP AND NO ONE IS HELPING ME!! She'd been there quite a few times before and everyone was used to her tantrums. She whisked her into to a counseling room and she screamed at the counselor until she settle down. After weeks of sessions and screaming and crying she admitted she was addicted to street pain pills and was unwilling to quit. Her problems were about money and abusive relationships, not about her drug addiction. When discussing her family background, she said her dad had been smoking pot all the time since her birth. She was fine with his marijuana use and felt it was no big deal. Her father hadn't worked in decades and sat around the house watching TV and getting high. He was so negative she was sure he routinely contemplated suicide, but still she saw nothing wrong with his drug use. Her sister has four children and her and the father of the children have both been in jail for heroin addiction and have lost custody of their children. But she stills sees no issue with her dad's pot smoking. What the counselor tried to show her is that much of the family dysfunction and problems started with her fathers illegal drug use but she was never convinced. To her illegal drug use was a normal part of life and buying drugs was as common as going to the drug store. No big deal! As marijuana addiction stories go, this is pretty typical. Entire families smoke all of the time and think there is no problem. Any problems that are there are seen as something unrelated to drug use. Marijuana has become like alcohol use, no big deal and any problems are ignored. Pot Addiction tares up families, as those watching their loved one struggle with the disease will bear the emotional scars long after the addiction is under control. What might have been concern for the addict at one point in time sadly can turn to anger and resentment. It’s a kind of “Look what you’ve done to us” mentality and nobody has to say anything. You can read it immediately. The family goes down the addiction path too, playing their roles. Organizations like NA and Al-Anon/Alateen are there just for families. 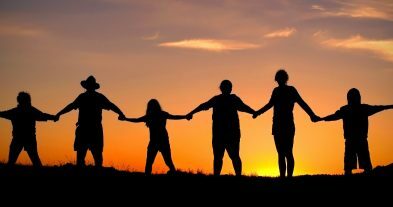 Just as the 12-Steps were created by addicts for addicts, those principles were the basis for family groups. And just like the addict, the family member is not alone. There is help and support. Please share your drug, alcohol and marijuana addiction stories with us and we will post it here and share it with others so it might help them. The denial involved in Marijuana Addiction Stories is unbelievable. Because so many want marijuana legalized they brush any negative issues related to use away. Most people today under 30 have their own versions of Marijuana Addiction Stories. They use or their boyfriend/girlfriend uses, smoking pot is a normal part of social interaction. If you don't like smoking pot then there is something wrong with you. Like people who use alcohol, they ostracize anyone who won't use. Marijuana Addiction Stories are about addiction, and Marijuana addiction has as many negative consequences as any other drug addiction, regardless of what the addict wants to believe.